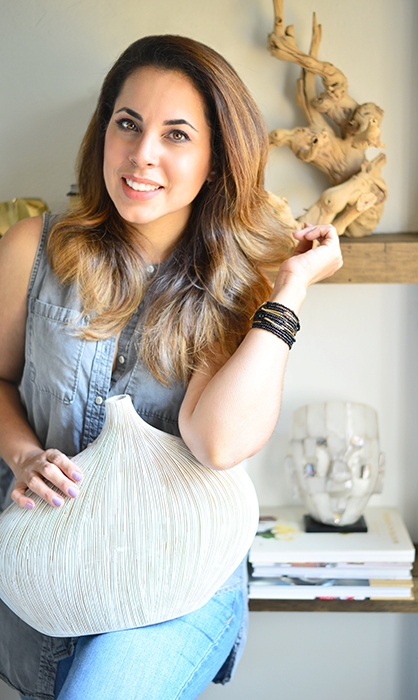 In the day to day, sometimes making time to sit and create can become a difficult task. I’m one of those people that wishes that days will last longer, but in the hopes of using those extra minutes to make, create and then rest some. But in real life we only get 24 hours and from those, more than half are spend in real jobs and/or daily responsibilities. Because of this today I’m sharing a quick way to make and create a front door wreath that will only take you around 40 minutes to make. 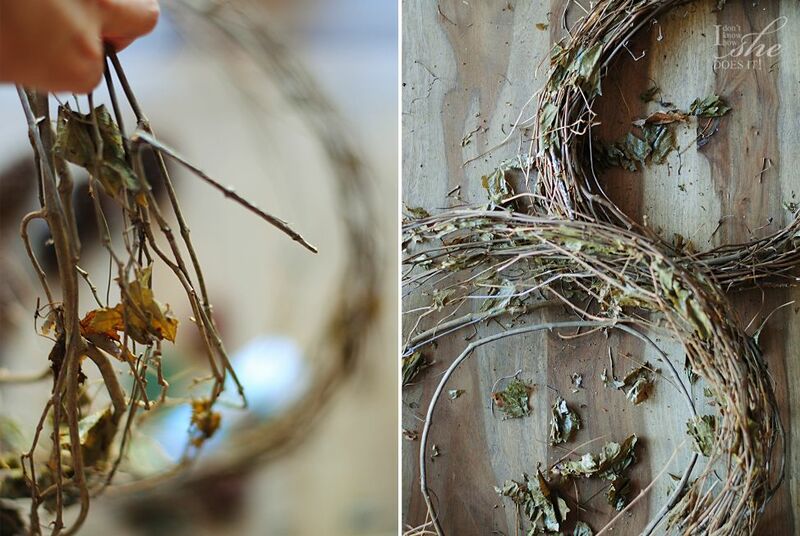 For this I used a roll off grapevine (14″) from +Hobby Lobby, floral wire (bread twist ties can also help), pine cones (these are from BHG at Walmart) and snow spray. Opening the grapevine ties, start untangling and stretching it. I divided my grapevine in two sections and spread and stretch each side individually. 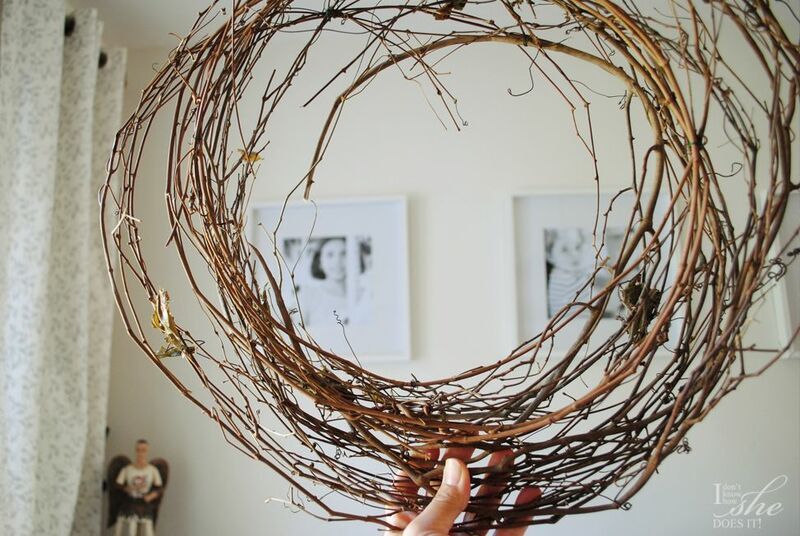 With the floral wire I joined some areas that I wanted to remain together. When I felt like each side had the circular uncompressed form, I placed the circles one on top of the other making sure that it looked balanced. 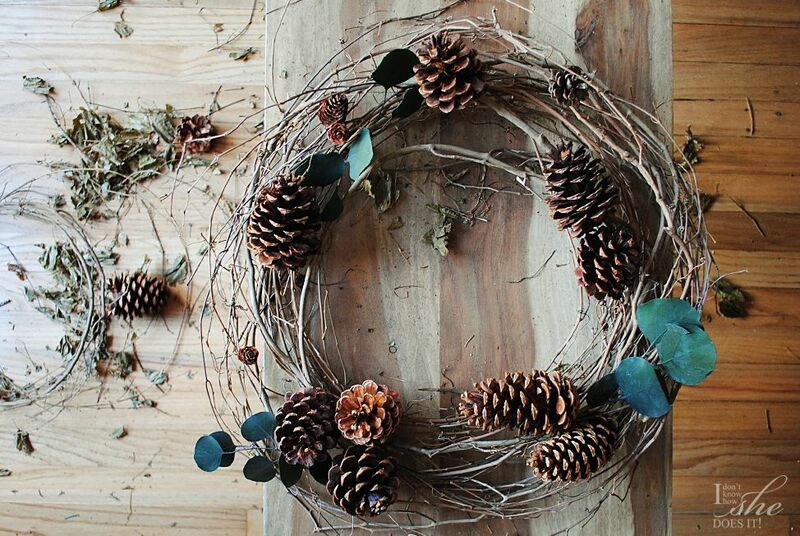 Now that my wreath was completed, it was time to place the pine cones which I distributed around the circle and attached using wire also. 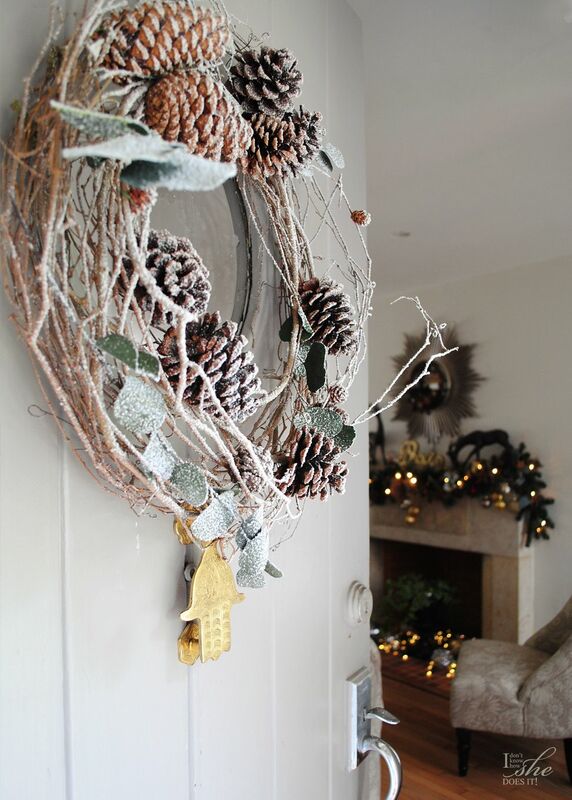 To add a seasonal touch, I used small eucalyptus branches and the snow spray. 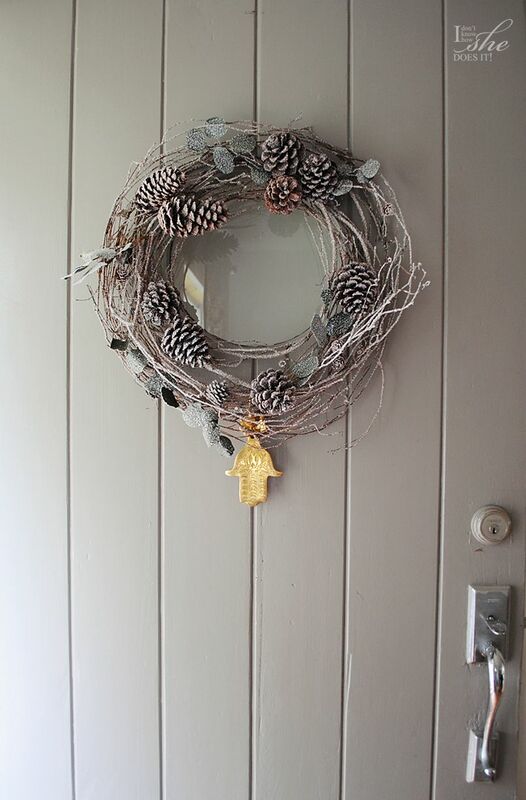 I love the way this wreath added a dose of Holiday spirit and also its minimalist decor influence on my front door. 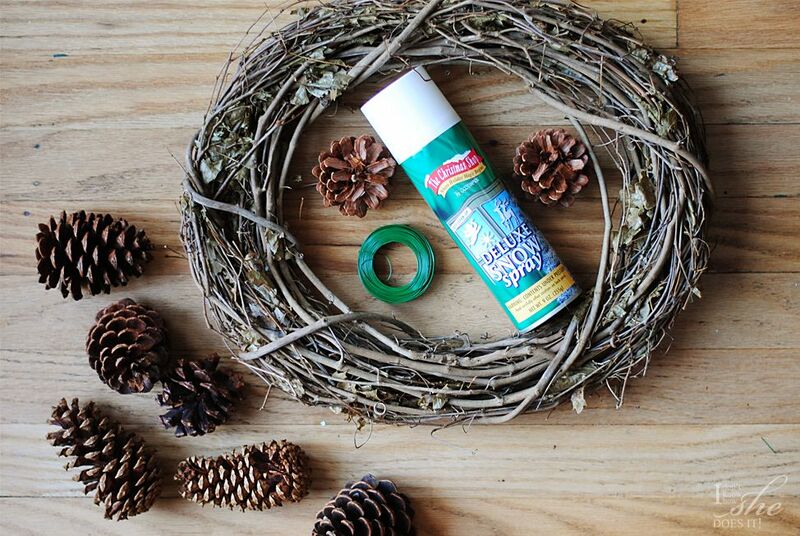 Have you started decorating for Christmas yet, or will you be waiting until after Thanksgiving day?